©Barry Sandland/TIMB – Kids and cargo all sitting tight behind the rider. Photographer’s notes: This is one of the prized California design, long tail cargo bikes. It carries all the weight behind the rider, the weight off the front wheel, offering a very different sense to a ride than the anticipated front load bikes. Longtails are incredibly popular in California as a surfboard transport. But it is also very popular in the developing world as a more affordable bike to construct. How to Build a Long Tail Cargo Bike article here… To be clear, I am not suggesting long tails are DIY designs. But this does show how the bike has become so popular in developing countries where ingenious people can build their own. 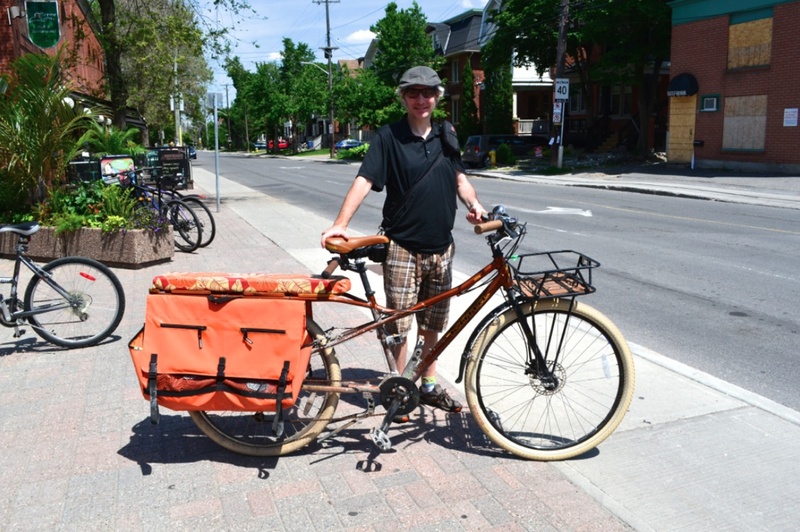 This entry was posted in cargo bike, city bike, commuter, North America and tagged Canada, Kona, longtail, Ontario, Ute. Bookmark the permalink.